Queensland Sugar Limited and Wilmar have reached an in-principle agreement regarding a long-ongoing marketing dispute. 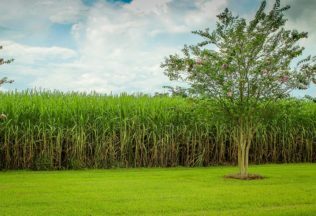 Marketing group, Queensland Sugar Limited (QSL) has been in conflict with Singapore based agribusiness company, Wilmar, after the QLD sugar industry was deregulated and the Queensland State Government introduced new law in 2015 letting sugar growers choose through whom they sell their sugar. Both businesses have been arguing over the details of the 2015 legislation. In a statement issued late last week, Chief Executive Officer of QSL, Greg Beashel, said he was pleased to announce that following a mediation held in Brisbane, QSL and Wilmar were able to reach an agreement on the three remaining issues preventing them moving forward to the contract and negotiation phase. “While QSL welcomes this long overdue development, there is still a lot of work to be done before a detailed contract is secured and Wilmar Growers can begin to access QSL marketing and pricing services for the 2017 Season and beyond,” Beashel said. “That final contract and its implementation is now our primary focus,” he stated. The conflict has been stopping sugar growers from being able to choose a company to sell their sugar and reached a point where Deputy Prime Minister, Barnaby Joyce, warned the two parties to resolve the issue or the government would have to step in.